The role of the Human Resources organ in an organization’s success is increasingly gaining traction as employee satisfaction and retention has become a topical issue world over. It is in this context therefore, that the Association of Commonwealth Universities (ACU), the world’s first international university network, plans to host a convention on Human Resources in Higher Education (HR in HE) in partnership with USIU-Africa. 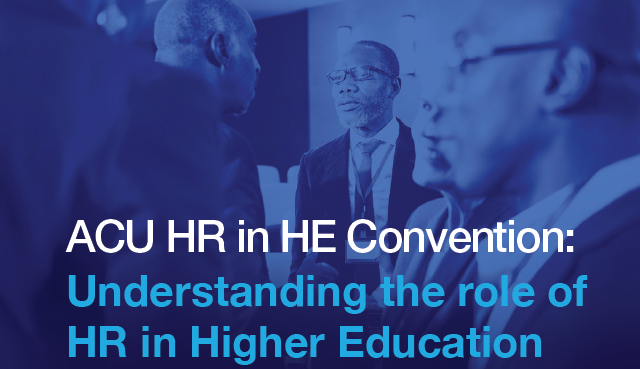 The convention, whose theme is “Strategic Positioning of HR in HE” is set to take place at the USIU-Africa campus in Nairobi from April 25-26, 2019. This event calls to aid the mandate of human resources professionals in institutions of higher learning as they collaborate with Vice Chancellors in institutional value addition and attainment of excellence. Consequently, the event will provide a platform for cultivation of a network of human resources practitioners in higher education within the region as part of the larger Commonwealth community. In attendance will be Vice Chancellors, human resources professionals and registrars from universities and colleges in Kenya and the wider East Africa region. Hosted within USIU-Africa’s Institute of Higher Education Research and Leadership Development (IHERLD), the convention will address key mandates of IHERLD by building into programs that support senior leadership organs of Higher Education Institutes, middle level managers, policy makers and teachers involved in developing and implementing competency based curriculum as well as create opportunities for policy dialogues and research on Higher Education. This event is envisioned to expand the important conversation surrounding human resources and engage maximum participation of higher education leadership organs in order to build their collective daily workings but also inform their contributions towards academic, operational and service excellences. This engagement will lead to student retention, diversification and internationalization, build capacities and mobilize resources within institutions of higher education.